Sony let slip that the PS3 version of Assassin’s Creed: Brotherhood would have exclusive missions at E3 earlier this year. Today, just two weeks before the full game’s release, the Playstation Blog has finally revealed what these missions are. 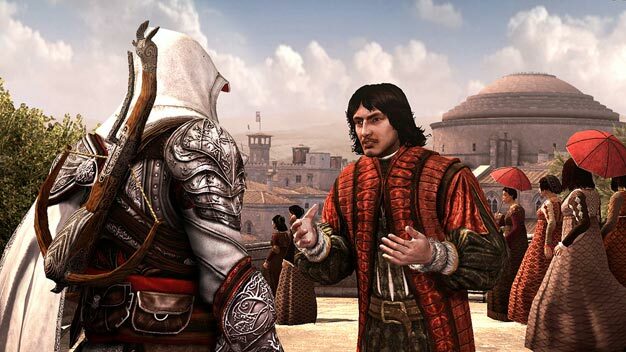 Titled the Copernicus Conspiracy, Ezio will team up with Nicolaus Copernicus, an astronomer who has a bunch of tasks for players to perform. You’ll get a bunch of courier, assassination and protection objectives from him. This add-on is coming in the form of free downloadable content. It’ll be out day and date with the PS3 game; November 16th for the US, 19th for EU. That’s service for you.